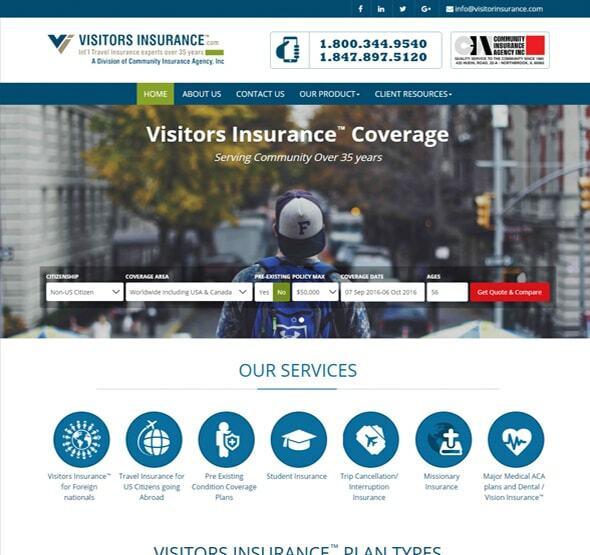 Leading provider in traveling & visitor insurance plans. 36 years of expertise help visitors to choose the best plan for loved ones. Visitors Insurance Protect finances and health by letting people to find the right coverage. Provide Insurance plan quotation with age group and policy premium. Unique design with old age group of people access with latest concept.